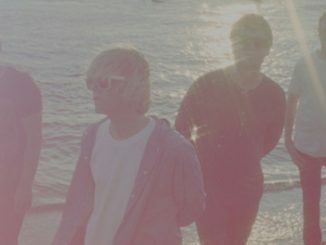 On the back of 2015’s Modern Nature (critically acclaimed getting into the Top Ten album chart with a lifetime achievement award from Q magazine) comes the Charlatans thirteenth album. Different Days is released on Friday May 26th on the BMG label. It was recorded in Cheshire at the band’s studio and hosts an array of contributions from friends and peers to include no less than Johnny Marr, crime writer Ian Rankin and Catastrophe writer/actress Sharon Horgan. 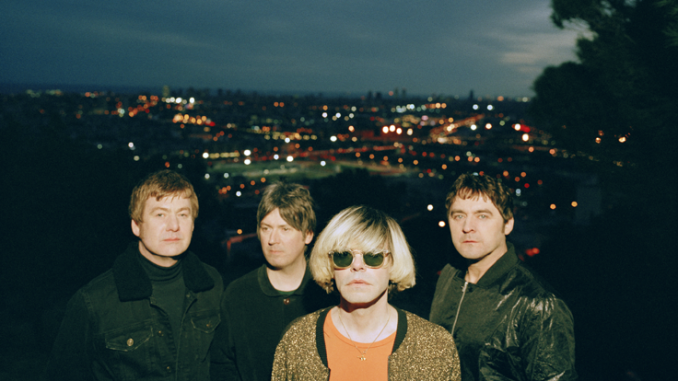 Tim Burgess has indeed stated that much of the album was inspired by the said Channel 4 Sitcom. To top it all Paul Weller plays on the album finale Spinning Out. Following the passing of their drummer Jon Brookes in 2013 Pete Salisbury, former drummer with the Verve got involved. Other friends include Anton Newcombe from Brian Jonestown Massacre who offered his thoughts on early versions of Not Forgotten, Stephen Morris of New Order (who worked on Modern Nature and contributes to seven tracks on this of drumming and programming) and Ian Rankin and Lambchop’s Kurt Wagner offering spoken-word contributions. First track Hey Sunrise starts with an electro-acoustic guitar sound, piano and gentle vocal singing “We built the house together…….with the fish in the tank to say thanks”. Then at 1.27 minutes an infectious clipped vocal comes in before a wave of 80s electronica washes over you. This is a brilliant start to the album. Not surprising given the Stephen Morris and Pete Salisbury involvement. It’s a perfect song for an album released on the cusp of summer. I can’t stop playing this! Solutions has a great keyboard with an almost Madness feel to it. Different Days starts with a children’s musical box sound. There is sumptuous production on this with backing vocals from Sharon Horgan and guitar from Johnny Marr. You can tell as it has his Midas touch. This is a more serious affair to Hey Sunrise but is equally as superior. It’s clever the way the ending is abrupt and unexpected. Future Tense continues on with spoken word from Ian Rankin that is poetic and dramatic (and sounds like it should be in a film like 1984) before launching into current single Plastic Machinery (Johnny Marr on guitar) which has more of the familiar Charlatans sound. This is instantly catchy and earnest “Don’t be part of the machinery, I know it’s hard to be accepted” with great guitars and melody. The Forgotten One is a spoken word husky-voiced intro by Kurt Wagner which flows into Not Forgotten. This has a definitive soulful introduction and I can feel a New Order influence on this. I love the organ which is subtle but discernible provided by Anton Newcombe no less. There Will Be Chances has a really haunting beginning with a melancholic piano and a great lingering wave of electronic drumming. Burgess’ vocals are on top form as are the harmonies on this dreamy piece. Over Again has some catchy hooks and a very 80s feel before descending into some funky beats. The Same House has contributions by New Order’s Gillian Gilbert and Stephen Morris and has a clipped keyboard sound and a repeated refrain “We can live in the same house, we can all wear matching shoes”. At nearly two minutes in the tempo jumps around and becomes irrepressibly catchy. Let’s Go Together is indie-sounding, jangly and takes a nod back to Monkees territory. It is light and breezy pop. Track 12 The Setting Sun is also a short and sweet nod to 60s psychedelia (coming in at 1 minute 40). Finally, last track Spinning Out is a piece that was co-written by Paul Weller with piano and backing vocals provided by him. It is leisurely and relaxing. This would be great played in a car, it has an unhurried, chill-out feel to it, perfect for summer days. 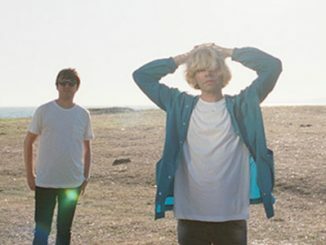 After 13 albums and how many years, almost clocking up to 30, you’d think The Charlatans would be unable to produce something sounding fresh yet still like themselves. But yes, they’ve done it again, and with a little help from their friends.